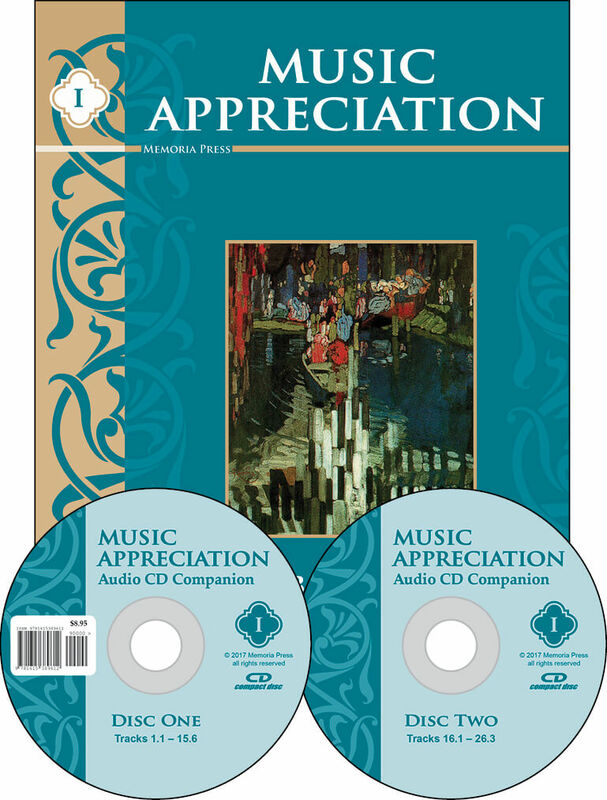 The Music Appreciation I Set contains Music Appreciation Book I and the Audio Companion CD. This course covers 26 pieces of classical music. 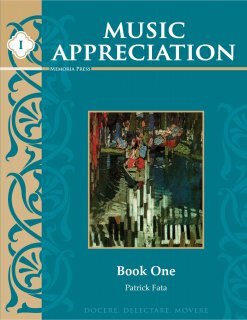 Each chapter of Music Appreciation Book I contains a discussion of the piece, historical context, musical concepts illustrated by the piece, facts to remember, and listening exercises. 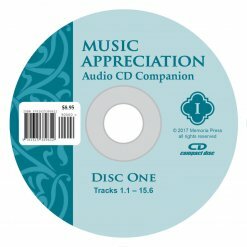 The Audio Companion CD coordinates with Music Appreciation Book I to demonstrate rhythms, musical forms, techniques, and instruments discussed throughout the course. We are only a third of the way through Music Appreciation I, but I sincerely hope there will be more. It’s a great supplement to the piano lessons my children already take. It would be simple enough for families with no prior musical knowledge, too.